Tokyo is an intoxicating city. Its nine million-strong population swells among winding streets littered with ancient shrines and izakaya, while restaurants, offices, karaoke bars and minute residences are built up into the sky. 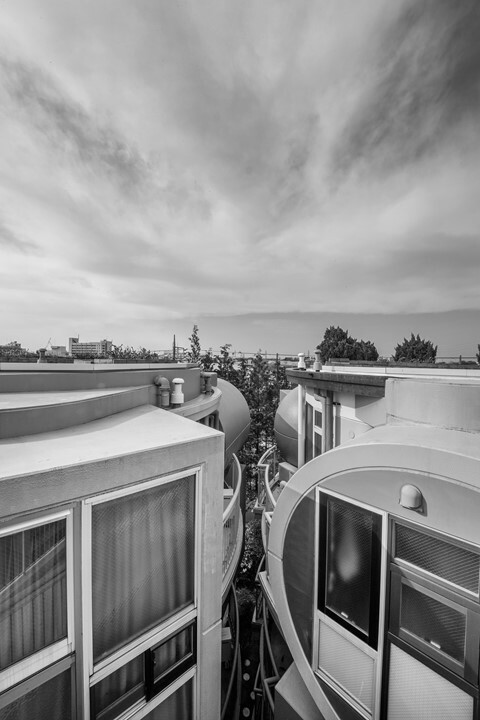 The Japanese capital has a long history of architectural innovation, partaking in a constant quest to redefine and manage the expectations of a densely packed populace which comprises some of the most overworked individuals in the world. 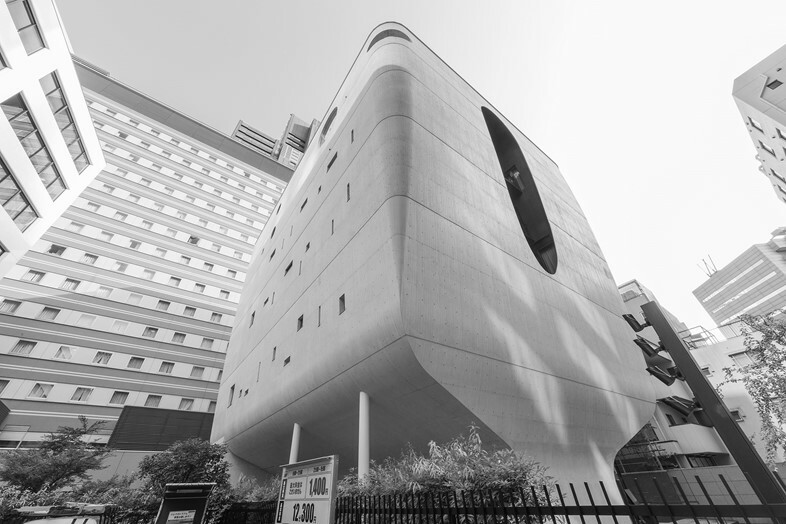 Naomi Pollock has catalogued some of the most remarkable architecture found across the city’s 23 wards in her new publication Concrete Tokyo Map. This wonderful bilingual guide offers insight into the pervasive though somehow overlooked use of concrete and charts experiments with the brutal material in the city from the 1930s to the present day. Concrete Tokyo Map shines a light on the origin of Tokyo’s love affair with concrete: the ever-present threat of earthquake devastation. The material’s resilience and versatility is vital to complex anti-tremor designs, but is equally employed for its ability to be moulded into every conceivable shape, size and dimension. Pollock examines the myriad ways it has been used, beginning with Modernist sites conceived during the post-war boom. 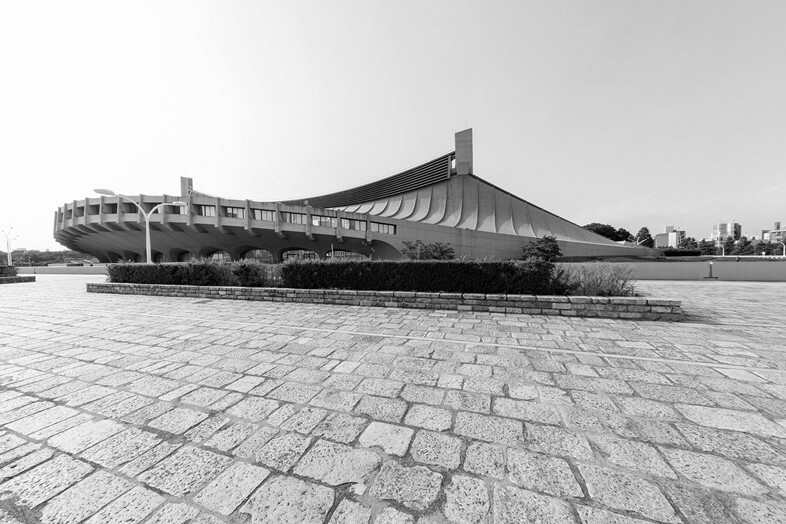 These include Kenzō Tange’s 1964 Yoyogi National Gymnasium, built for the Olympics and considered revolutionary for its hybridisation of Western aesthetics and traditional Japanese principles. 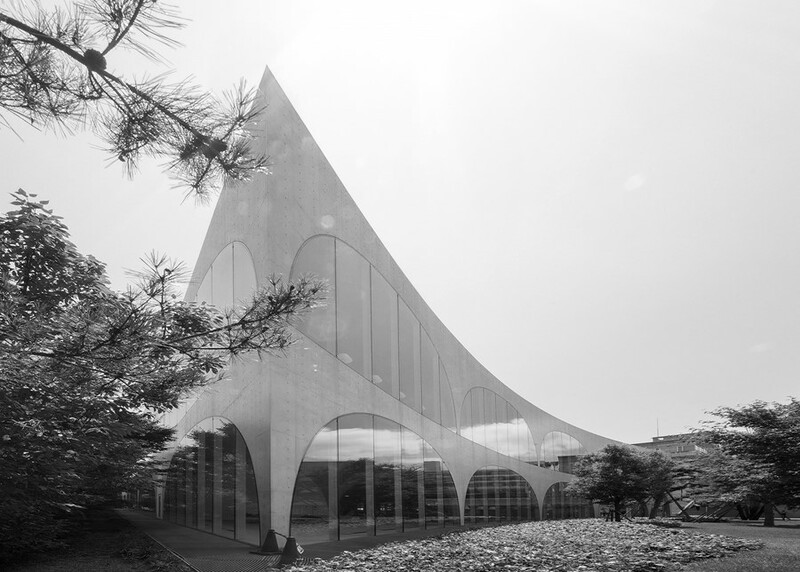 Also featured is Le Corbusier’s National Museum of Western Art, the architect’s only building in Japan. This collection of angular slabs was given UNESCO World Heritage status last year. 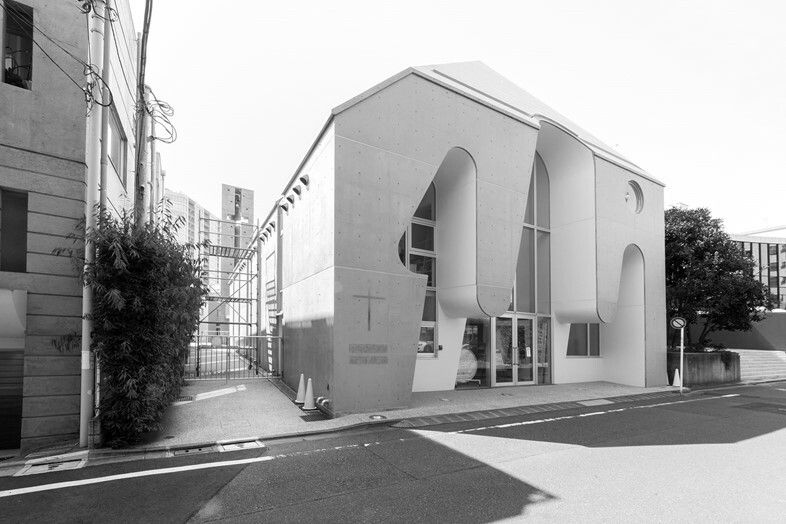 Later additions include a newer focus of fluid, curvaceous forms, as seen in Ciel Rouge’s Harajuku church. This house of worship features seven arches carved from a pitched roof, offering an exquisite rupture between organic and perpendicular lines. Silky monochrome photography by Jimmy Cohrssen charts their contours and offers handy illustration to map-weilding tourists. Tributes to alternative home-life practices are also explored, the most joyous of which is the Reversible Destiny Lofts of Mikata. These brightly coloured units are akin to children’s building blocks, with ergonomic interiors (including mottled floors to promote good posture) and unorthodox storage solutions earning the title of ‘ultrachromatic undying house’ by Japanese novelist Setouchi Jakuchou. This exuberant residence has recently developed an alternative tourist following after one of the properties was featured in TV show Girls, as Shoshanna’s home during her Tokyo adventures. The property remains equally alluring for anyone who might want to know more about an offbeat form of utopian living. Pollock’s fully functioning map offers the opportunity to embark on concrete treasure hunting in a city that is more than a little confounding. Its gigantic towers often obscure architectural gems and most conventional guides simply don’t have the space to include these buildings along with the thousands of other sight-seeing destinations on offer. With stark typography and a pared-back aesthetic the document is reminiscent of the golden age of Modernist design, its imagery annotated with full addresses and pinpointed locations – a must-have considering Tokyo’s distinct lack of ground-level signage. This map peels back one of the many layers that make up this vital and exhilarating metropolis and, much like the buildings themselves, its beauty is in its simplicity. Concrete Tokyo Map is available now, published by Blue Crow Media.